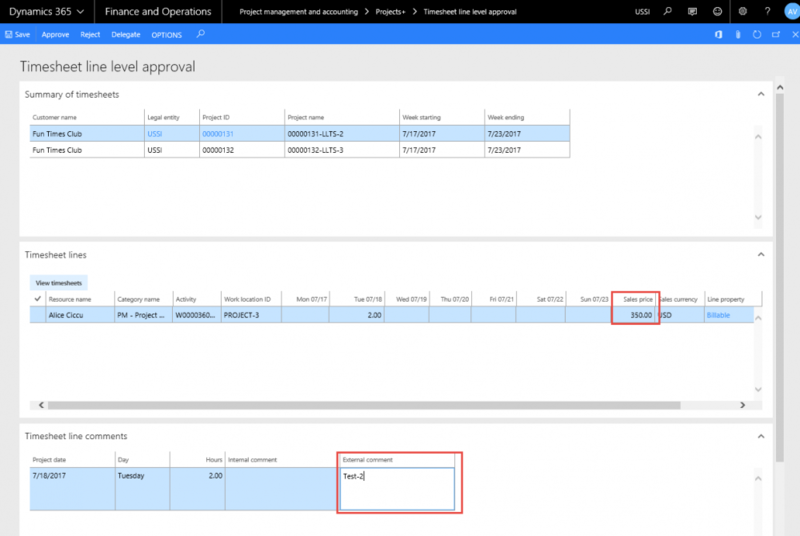 *This section details how the line level timesheets are approved. All the lines that are assigned for approval for the current user is seen in this list page. The lines shown are from all the legal entities. Lines are grouped based on the project and timesheet period. Sales price is displayed in the timesheet line under timesheet line level approval form. Approver has ability to edit an external comment on line level timesheet approval form and when approver edits the timesheet comment, comments are updated in timesheet external comments.